How a skate is sharpened plays a significant role in determining a players speed and control while skating. Cheam Sports uses the cutting-edge Blademaster and Blackstone machines to create a custom hollow and profile for more speed, better power, and sustained maneuverability while you’re out on the ice. The edges need to be consistently of even height, otherwise cornering and skating strides can be compromised. There are 5 basic sharpening options – each is best suited for a specific skill level and position of the player. 3/8″ is the deepest hollow and is best suited for beginners (it has more bite) while 5/8″ is shallower and is great for speed and better glide. Precision skate-sharpening at Cheam Sports is one of our primary sources of pride. Only Geoff, Brian and a handful of others are trained as exert skate sharpeners. Get your skates sharpened at Cheam Sports and we guarantee the following. Equipment managers all over NHL spend a portion of their day custom sharpening players skates to very specific dimensions. 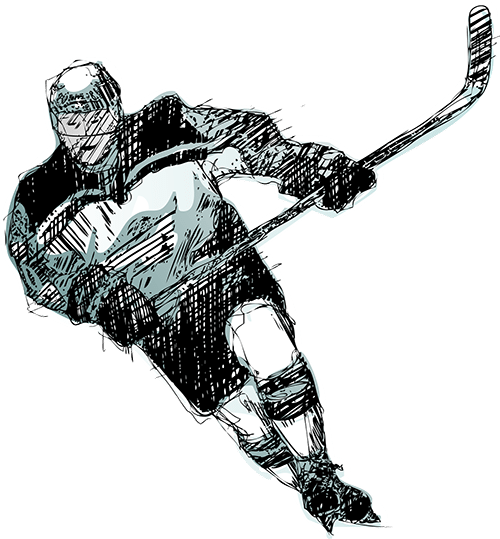 Perhaps surprisingly, pro players tend to prefer a wide variety of hollow on their skate blade from shallow for more glide (Jonathan Toews) to deep fro more edge (Sidney Crosby). Skate sharpening is the process of grinding metal off a skate blade with the aid of a machine to create a “hollow” on the bottom of the skate blade. 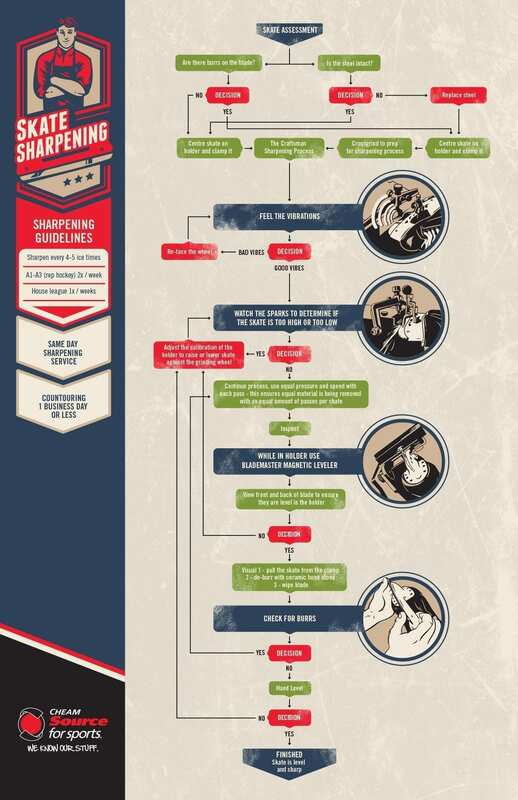 Why is skate sharpening important? Most people don’t know that one skate blade is comprised of two edges, the sharpness of which depends on the radius or depth of the hollow. Well, sharpened skates allow the skater to push-off, turn and stop properly. Is it hard to sharpen skates? Skate sharpening is part art and part science. Geoff and Brian have a combined 50 years experience sharpening blades. They’ll consult with you before they cut to make sure you get the right hollow for your style and experience and level of play. The hollow refers to the depth of metal that is cut out of the centre of the blade by the machine. This action of hollowing produces two distinct edges that help you push off, turn and stop on the ice. It’s critical that those edges are even. Do different players need different hollows? Yes, younger players tend to need a deeper hollow for better “bite” on the ice. Deeper hollows are great for beginner skaters. 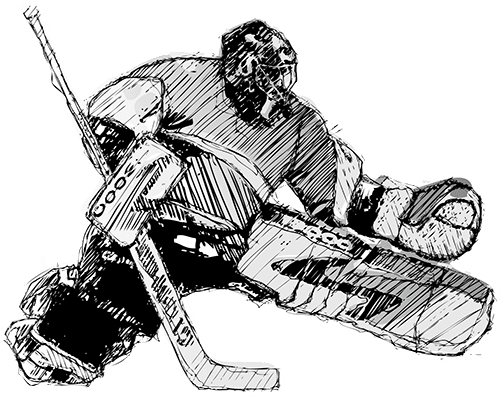 More advanced skaters and NHLers tend to prefer shallow hollows for better “glide.” Experienced skaters learn to use their edges more efficiently and try to avoid the friction inherent in deeper hollows.